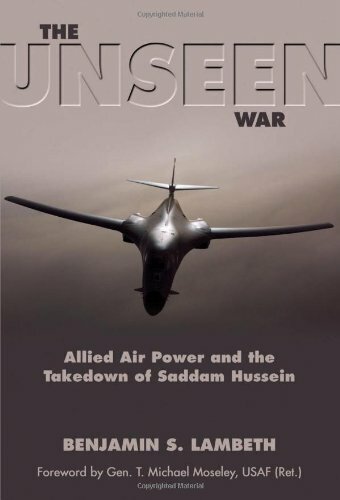 The Unseen War offers a comprehensive assessment of the air contribution to the three weeks of major combat that ended the rule of Iraq’s Saddam Hussein in 2003. In contrast to Operation DESERT STORM in 1991, the role of allied air power in the Nation’s second war against Iraq was not apparent to most observers, due to the concurrent land and air offensives coupled with the overwhelming majority of reporters embedded with ground units. Even today, the air war history of Operation IRAQI FREEDOM remains largely unreported, despite the fact that American air assets, aided substantially by the air forces of the United Kingdom and Australia, played a key role in achieving the coalition’s immediate campaign goals. Lambeth’s book fills a long-standing gap in the literature on modern warfare by telling the detailed story of the role of airpower in OIF for the first time.